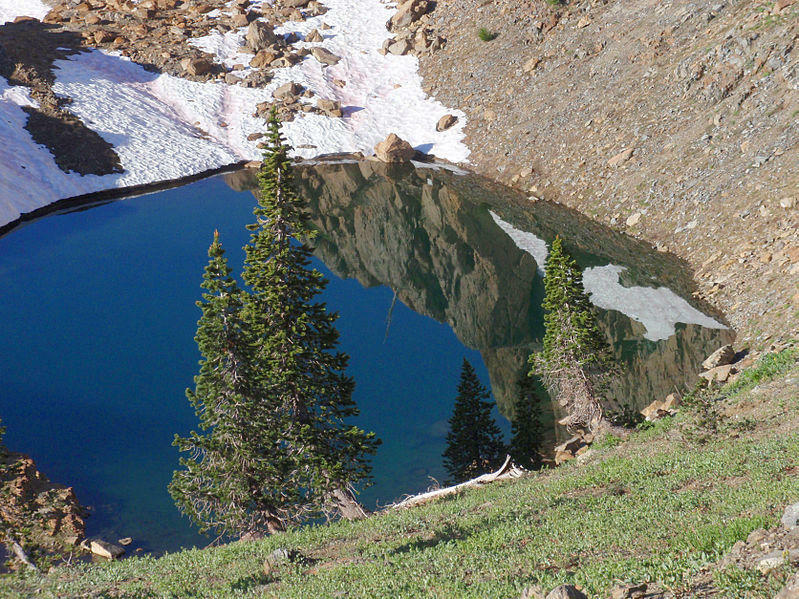 A small lake in the Trinity Alps. Michael Kauffmann walks us through the bigfoot trail plans. Whether you believe in Bigfoot or not, you can certainly follow in his/her footsteps. Our region is the supposed stomping ground of the large and furry creature, and home to The Bigfoot Trail. Nature lover and Humboldt County resident Michael Kauffmann is the brains behind the idea of the 400-mile trail, a way to enjoy the incredible diversity of the Klamath Mountain region. It apparently can be enjoyed even if there are no Bigfoot sightings. Michael Kauffmann visits. Hope Robertson and Jim Reiland explain the process of making the Jack-Ash Trail. Be careful if you say "Jack-Ash Trail" out loud… your words could be confused with something else. But at the moment, there's nothing quite like a trail that would allow hikers to walk the ridges between the Jackson County communities of Jacksonville and Ashland. Now you know where the name comes from.